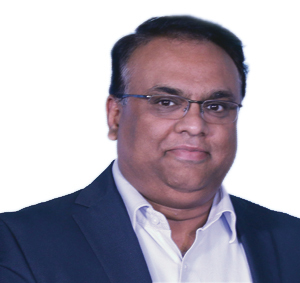 Vikas has been spearheading technology at Vodafone India and has recently moved as the CIO for India operations. Over the past 8 years and as Head for Technology Planning, he has been instrumental in transforming the Mobile Technology landscape; ensuring smart networks to deliver best customer experience and at optimal cost of production. Vikas loves to incubate newer technologies / ideas with objectives to industrialize for market leadership. Prior to Vodafone, as management and technology consultant, he gained valuable experiences with KPMG Consulting (UK); delivering to cross industry clients – financial, retail, manufacturing, government and telecom. Vikas is a veteran in the telecoms industry; been instrumental in shaping the landscape post Indian Telecom liberalization in 1991. As a core telecom leader with Siemens, he digitized BSNL fixed line networks; established India’s first GSM Networks at Mumbai and Delhi; subsequently moving to Tata Bell Canada to setup GSM Networks in Andhra Pradesh.